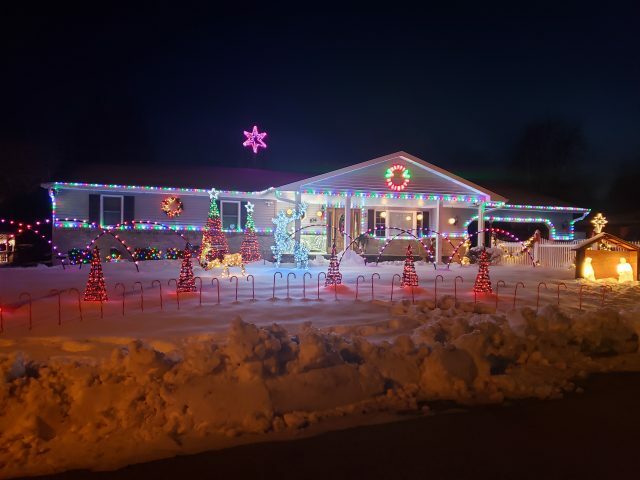 Drive by the Corbin home and see a holiday light display synchronized to a music soundtrack! Come sit on Santa’s lap and get pictures every Friday and Saturday from 5pm-10pm (Until 12/22 — weather permitting) — but the lights will be on every night! We will accept non perishable food items, which will be donated to the FISH Food Pantry.